Boating and jet ski accidents are primarily caused by two factors: 1) alcohol or drug intoxication; and 2) a failure to observe boating navigation right of way rules. The first factor is common sense. The operator of a boat or jet ski (also known as a personal water craft (PWC) or wave runner) should never consume alcohol or drugs. If they do and cause injury to their passengers or persons on another vessel, then they are legally responsible. An experienced personal injury attorney will know how to obtain the Water Patrol report and investigation to determine whether intoxication was a factor in causing the accident. Rule 13. Overtaking: When approaching another vessel from behind, it is the duty of the approaching vessel to avoid striking or getting in the way of the vessel that is being overtaken. Rule 14. Meeting Head-On: Each Boat must turn to its starboard side so that each boat passes one another on its port side. Rule 15. Crossing Situation: The vessel that has the other vessel on her own starboard side must keep out of the way and avoid crossing the path of the other vessel. If you have ever been to the Lake of the Ozarks on Memorial Day, the 4th of July, or Labor Day, then you know these navigation rules are frequently broken by many unsafe boat operators. All too often, a failure to abide by these rules results in a collision and serious injuries or death that would have been preventable if these safety rules were simply followed.  If you or someone you know was injured in a boating or jet ski accident, call the Austin Bradley Law Office today. We offer a free consultation, and if you decide to hire us to represent you, you owe us nothing unless we make a financial recovery in your case.